Soften horny layer, clear away impurities and filth on the deep level of pores and enhance the skin’s permeability. Facilitate the in-depth absorption of essence, repair fibrous tissues and restore the skin elasticity. Applicable to absorption of concentrated essence, the warming effect of ultrasonic wave can raise the temperature of skin surface, activate cells to promote the regeneration of collagen and revitalize dead skin cells and feeble blood capillaries. When the withered blood capillaries are activated and unimpeded, the nutrients can be sent to the skin cells to regenerate and activate skin cells and restore skin to the vigor. Red light is the warmest ray, which can accelerate blood circulation, stimulate the revitalization of cells, promote the growth of fibrocyte and collagen and have remarkable effect on smoothing fine lines, wrinkles, marionette lines, firming the skin, reducing blemishes and fading scar etc. Blue light is the coldest ray, which can promote the synthesis of protein and collagen, activate the skin, firm the flabby skin, shrink skin pores, effectively kill corynebacterium acnes and markedly improve red spot, oily skin and severely sensitive skin. Improve cell and oxygen utilization alternate function and impel the microcirculation effect on the surface of body. Meanwhile, it has efficacy of skin soothing, balance and stabilization and can dredge lymph and remove edema effectively. Just like the comfort of light massage by a beautician, it can strengthen the muscular movement, prevent the skin from loosening and apply to both face and body. Ultrasonic is a kind of sound wave with high frequency above 20,000Hz, which is mainly used for lead-in nutrient. The skincare product adopts ultrasonic leading-in for the purpose to improve the absorption of nutrients by more than 5 folds. 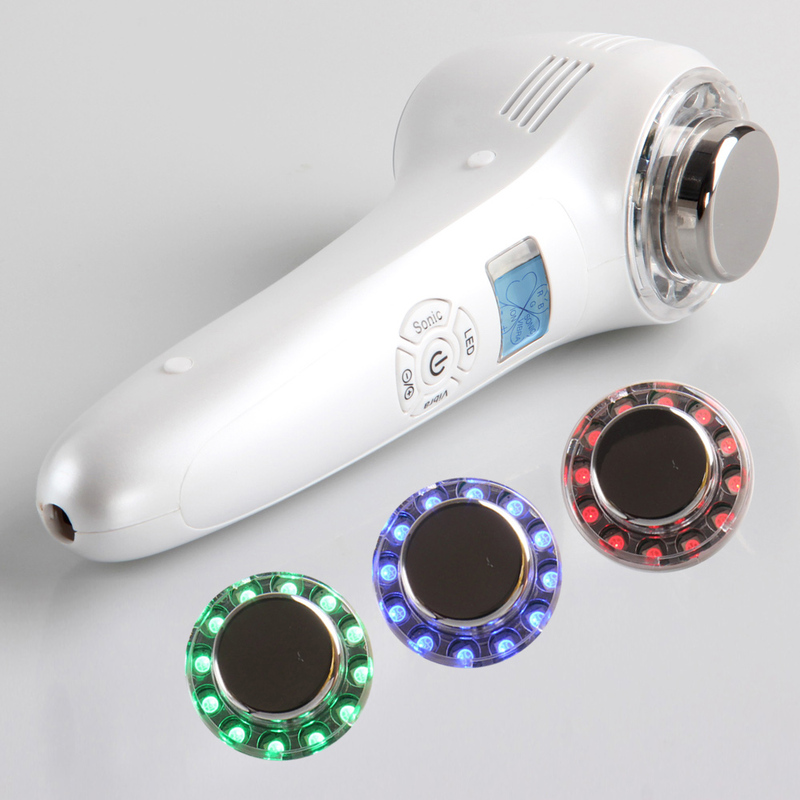 Due to strong power and high energy, the action of ultrasonic upon the face can stimulate vibration of skin cells, produce meticulous massage effect, change the cell volume so as to improve the circulation of blood and lymph, enhance the cellular permeability and raise the tissue metabolism and regeneration capacity. All things depend on the sun for their growth. All the lives source from light. Sunlight, air and water are essential resources for people to live by and are indispensable for all of us. Through research for three years, Kingdom chooses the cool light-red, green and blue, the most favorable rays for skin to shine on your skin in the simplest way so that the skin becomes more and more healthy just like photosynthesis on plants.